Here at Calming Music Weekly we really enjoy chilling out. Music represents different things to different people – and we love all kinds of music. Music creates a mood, sets a scene, envokes feelings and memories. Sometimes it is actually a great idea to go out to a bar and dance to the band as energetically as possible and as if your life depends on it. Other times it can be an equally fantastic idea to just sit and listen. 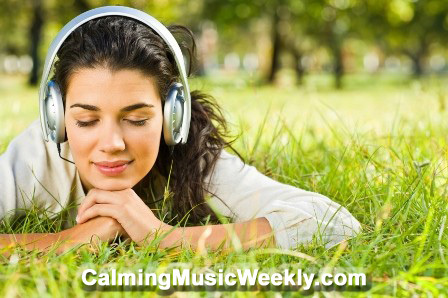 Calming Music can help you relax. It can help you relieve your stresses, remove your worries, transport you away from your daily tensions in this our harsh modern world. Simply by sitting still and putting everything else on hold – even for a few minutes each day – you can regain some of your sense of self. We love composing. We love recording. We love playing. Here we will be exploring and sharing our love for Calming Music – music to relax with, to enjoy and to drift away to another (hopefully quieter) place. 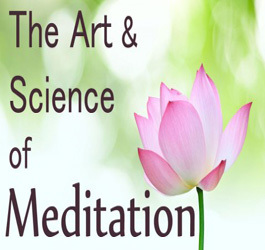 Relaxation Music, Meditation Music, Calming Music – what ever you want to call it, the same end result is much sought after – to relax, to destress, to quiet the mind, to soothe, to gain a sense of calm. Our Membership area delivers a new calming music instrumental song every week exclusively for our Members personal use and enjoyment. We will showcase some of our songs as well as the songs of others. We will share some of our favourites and hopefully you will join in the discussions and share some of your favourite calming music songs and artists as well. We have articles about all things relaxing, plus audios, videos, podcasts, images and ideas to help you take some time out from this busy “always on” world we now live in. We also have our Calming Music Shop. So, please, take a seat – preferably an extremely comfy one, slip on a pair of headphones, and listen to some beautiful calming music. I hope you enjoy our music ! Matthew Harding is the driving force behind CalmingMusicWeekly.com . 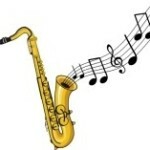 He is a multi-instrumentalist, who prefers his Tenor Saxophone. However, his Alto Saxophone, Soprano Saxophone, EWI (Electronic Wind Instrument), various other wind instruments (clarinets and recorders of various sizes and shapes) and his piano and keyboards are never far away. He has also been known to perform the duties of lead and backing vocals in various bands as well, much to the embarrassment of his children…. Having played in many rock, funk, jazz and soul bands, Matthew met an amazing keyboardist / composer / vocalist who was to become a life long friend – Rick Plumridge. Rick introduced Matthew to the joys and relaxing bliss of Calming and Relaxation Music. Their relaxation music albums – “River to the Sea” and “Sea to Sky” – have sold thousands of physical and digital copies all over the world. Rick and Matthew teamed up with Rosemary Bennett – a leader in the Health and Wellness field. Together, Rosemary, Rick and Matthew created their first Guided Meditation album – “Simply Relaxation“, which has also sold very well indeed. Matthew has composed and recorded several of the Calming Music songs that appear within this website. He has collaborated on many others. A few of his friends and associates from around the world have contributed songs as well. We hope that you enjoy the calming effects and benefits of taking some time out of your daily grind to stop, take some time out for yourself, and listen to our music. Click the social images to join in our discussions. Please Contact Us and let us know your favourite relaxation technique.